Jamaica Producers Group, the island country's largest exporter of bananas, has opted to end production of bananas for export to the UK. 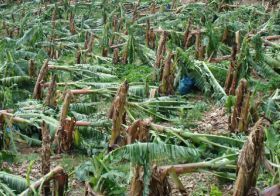 The decision has been made in the wake of Tropical Storm Gustav, which destroyed over 80 per cent of Jamaica's banana crop at the end of August. 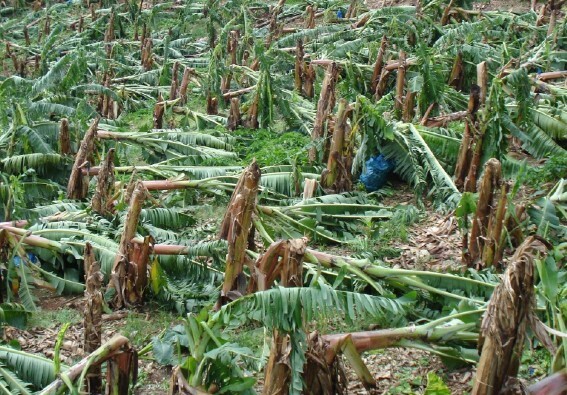 The storm was the latest in a series of extreme weather systems that have hit the country in recent years, decimating banana crops and forcing "significant re-investment", according to Jamaica Producers Group chairman Charles Johnston. As a result of the move, 460 employees have been made redundant at Eastern Banana Estate Limited in St. Thomas, local media has reported. Mr Johnston said that the group would continue to concentrate on production for the domestic market, as well as banana-based snack products for both the local and international markets.